Roy Moore Drops Lawsuit Over Campaign Ads - Joe.My.God. 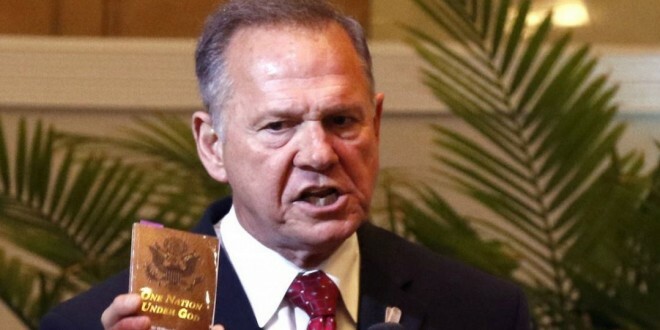 Instead of filing a lawsuit, former Alabama Chief Justice Roy Moore is dropping one. Moore’s attorney filed a motion on Friday morning seeking to dismiss a lawsuit brought in July by the former U.S. Senate candidate against several people and political action committees related to the final weeks of the Senate campaign. The lawsuit said the defendants ran or contributed to misleading and defamatory commercials related to allegations of sexual misconduct against Moore going back almost 40 years. The motion to dismiss provides no insight into why Moore and his wife, Kayla, are asking the judge to drop the case. Last week Moore filed a $95 million defamation suit against comedian Sacha Baron Cohen.